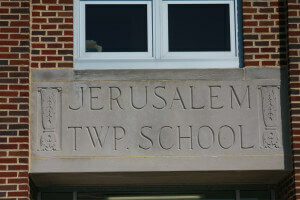 Jerusalem Township is part of the Oregon City School District. 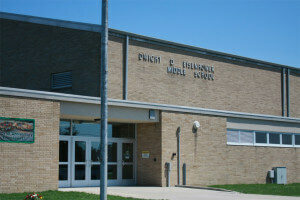 Jerusalem Elementary and Eisenhower Intermediate School are located in Jerusalem Township. 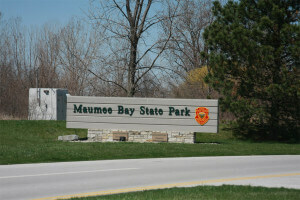 Maumee Bay State Park offers not only one of the finest recreational facilities in the Midwest, but also a unique natural environment created by the combination of the land and Lake Erie. John Kennedy Park is located on St. Rt. #2 (Jerusalem Road) just beyond the recycling station and salt dome. It is a passive park and can be used for picnics and walking. Joe Verb Memorial Park is located on Rialto Road between Corduroy and VanDyke Roads. It has a playground with swings, basketball court, picnic area and an area to play pick-up ball games. The 402-acre Mallard Club Marsh State Wildlife Area, located at 8763 Cedar Point Road, is geared for hunting, fishing and trapping. The area is sectioned into six marshlands separated by dikes and managed to provide wetland vegetation that sustains a variety of wildlife. Howard Marsh, on State Route 2 at Howard Road, is scheduled to open to the public in 2018 with six miles of water trail for canoeing and kayaking and five miles of dike-top trails for hiking. This 558-acre Lake Erie marsh is located 13 miles east of Toledo in Jerusalem Township. Bono Road provides access to the area from State Route 2, less than 1/2 mile east of Bono. Waterfowl hunting, trapping, and fishing in the marsh and Lake Erie are major uses of the area. 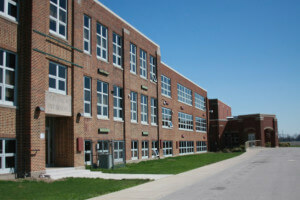 The township purchased 26 acres of land adjacent to and behind Jerusalem Elementary on Sacks Road in 2001. The dream was to build a sports complex that the school and area youth could use as a practice activity area and potential sports complex. The site currently has a baseball and softball diamond with 60 to 75 feet adjustable base paths and space for soccer fields of various sizes. A pavilion shelter house is available for use with picnic tables. The next phase is to construct a walking trail around the perimeter of the complex. The Jerusalem Township Food Pantry is a non-profit 501-(C)-3 organization incorporated with the State of Ohio. The Food Pantry distributes food to low-income families in the Township and surrounding rural areas. Governmental guidelines are followed to determine eligibility. The Food Pantry also sponsors the Senior Community Program for Seagate Food Bank which provides food to seniors who qualify. The Food Pantry operates on the second Wednesday of the month from 9-11am. On food pantry day, there is a nurse on site to provide mini check-ups for its patrons. The Food Pantry is a completely volunteer organization. No wages are paid. It is open the second Wednesday of the month at the Jerusalem Township Hall. Food is picked up and boxes filled on the Tuesday before. This group welcomes anyone who would like to volunteer to help on either day. Board Members are Richard Hozak, Jim Chapman, Patricia Cogswell, Linda Chapman, John Nikoncyk and Shirley Hozak. Although given the name Cooley Canal, this private little marina is located on Metgzer’s Marsh. It is the smallest boating community in the Jerusalem area. It boasts a friendly environment where everyone knows everybody.